Maddening. Rip out your hair kind of maddening. Captivating, beautiful, confusing, enthralling, and completely maddening. The characters and their decisions repeatedly blew my mind. The character of Kim was relentlessly selfish and self centred. So many times in the novel I was murderously frustrated with her. But all the characters made decisions that simply blew me out of the water and decisions that caused ripples of pain in their friends and loved ones. I understand people don’t always know what is really going on in their minds and hearts. This novel certainly made that fact painfully clear. Electric Brae: The Electric Brae is a gravity hill in Ayrshire, Scotland where cars appear to be drawn uphill by some mysterious attraction. The word brae means a hill-slope or brow. The "electric" name was given when electricity was a new technology associated with strange forces.Though the road appears to be running uphill, a suitably free-running vehicle will slowly move off from a standstill. It was widely believed that vehicles were being propelled uphill by a mysterious magnetic force, but the road's apparently uphill slope is an optical illusion. The War: the war that is repeatedly referenced in the book, from what I can gather, is the UK forces dispatched to the Falkland Islands after Argentina invaded the islands. Margaret Thatcher: There is a fair sum of politics tossed around in the novel, but not always fully explained. So, here’s a few details to help navigate the chatter. Margaret Thatcher in 1981 began a controversial programme of privatisation of state-run industries. By 1983, the UK suffered from high unemployment, unrest in inner cities, and continued violence in Northern Ireland. However, Thatcher is also reelected in 1983, despite unrest. In 1984, the IRA attempted to assassinate Margaret Thatcher in a hotel in Brighton. Margaret Thatcher was reelected again in 1987, but resigned in 1990, handing the leadership over to John Major. Talks of devolving powers to a Scottish parliament are also ongoing during this time. 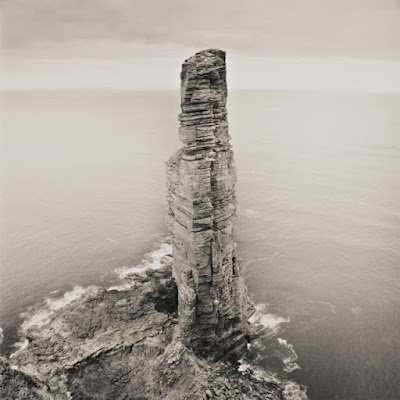 Andrew Greig was born in 1951 in Bannockburn, Scotland. 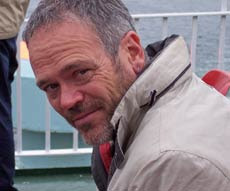 He studied at the University of Edinburgh and later became a writing fellow at Glasgow University. He now lives with his wife in Orkney and is still writing. This story follows Jimmy, a Scot from the East Coast. 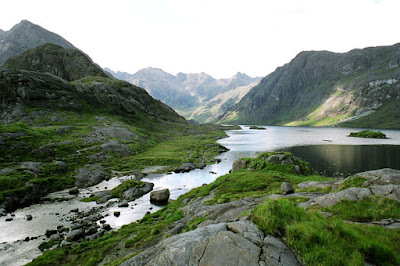 Early in the novel he falls in love with Kim, a young artists and ten years younger than him, and meets Graeme, who becomes his climbing partner and best friend. The story weaves together the lives and loves of those around Jimmy through thick and thin, whilst Jimmy lives and learns about love and life. 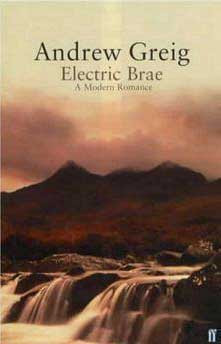 The novel was shortlisted for the McVitie's Prize for Scottish Writer of the Year in 1992. Love and Dependence:Jimmy’s relationship with Kim is less than healthy. Whilst everyone around him finds meaning in their lives through various avenues, Jimmy finds meaning in his life by taking care of Kim. The love she is able to offer him is one on her terms and Jimmy bends over backwards to make the relationship work. Jimmy’s love was rooted on being needed by Kim. However, Kim was reliant on a male companion. Jimmy simply happened to be the companion she chose, though there seems to be no particular reason that she chose Jimmy rather than any other male. Pity was a central element in their relationship. Kim used it and Jimmy’s love for her to manipulate him and situations. The novel is called a modern romance, but in no way is this anywhere near a Harlequin romance-type novel. The novel discusses issues such as infidelity, poly- amorous relationships, bisexual and lesbian relationships, and numerous failed attempts at the modern ‘open’ relationships. The emotional investment in relationships is discussed throughout the novel. Healing: This novel also discusses the pain of grief, love lost, heart break, and dreams unrealised. The reader is able to walk with the characters through these moments and learn how to carry on with life. Friendship: The novel is filled with various kinds of friendships and romances. Jimmy and Graeme’s is one of the central relationships that starts easily and walks a rough road. Nonetheless, this relationship reveals the importance of friendships and discusses those strange friendships that simply occur without effort. 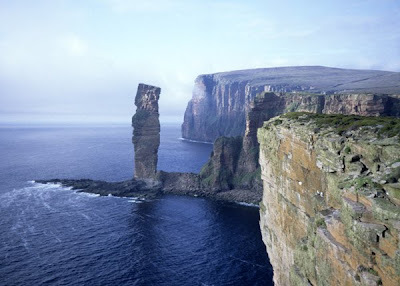 The Old Man of Hoy: a rock stack on Orkney is a a constant goal for Jimmy and Graeme. I was unclear as to what this represented. I wondered if it was desires unmet, the realisation of unworthy or unachievable desires, or something as simple as a goal or a marker of progress. If anyone has insight, I'd love to hear it! 3)The banter. The banter between Jimmy and Graeme was prime, but they weren’t the only instances of great banter. This is certainly a strong point in Scottish culture!